. 1999: Horacio Chicagual KO 9 Adrián Ochoa (Argentine flyweight title), at the Radisson in Montevideo.
. 2003: Hugo Garay KOT 1 Ricardo Sotelo (Argentine light heavyweight title), also in the Radisson in Montevideo.
. 2007: Jonathan Barros WDisq. 4 Pastor Maurín (Argentine featherweight title), at the 8 de Junio stadium in Paysandú. The local fans can see his most promising figure, the undefeated rising star Amílcar Vidal (6-0, 6 KO), who will face another boxer who doesn’t know the defeat, the argentine Carlos Capelari (from Córdoba, with 9-0, 5 KO). They will fight for the FECOMBOX WBC middleweight title. In the other crown in stage at the sensational Radisson’s evening, Sergio Sosa (of San Martin, Buenos Aires, with 10-1, 3 KO) will face the hot dominican prospect Ranfis Encarnación (14-0, 11 KO). They will look the featherweight FEDELATIN AMB title. Angel Yomar Mateo Arias (undefeated from Dominican Republic with 22-0, 18 KO) vs Alfredo Rodolfo Blanco (from Pigué, Argentina, with 19-7, 11 KO) - 10 rounds, welterweight. 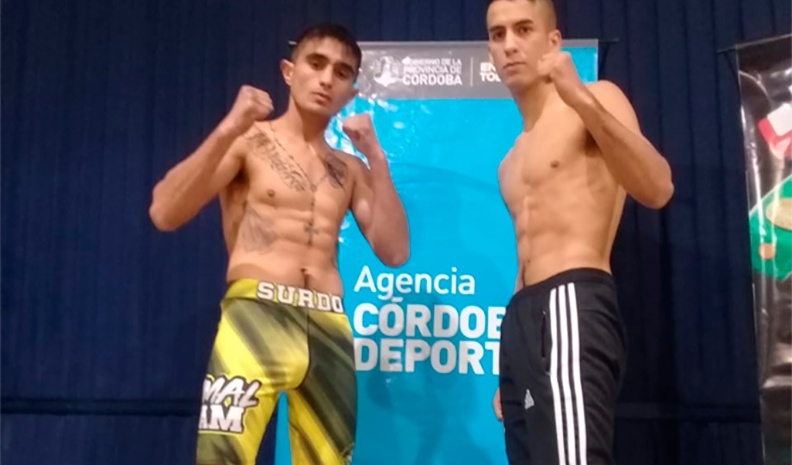 Michel Rivera (undefeated from Dominican Republic with 14-0, 9 KO) vs Carlos Daniel Córdoba (from Tres Arroyos, Buenos Aires, Argentina with 10-4-0-1 SD, 2 KO) - 8 rounds, super featherweight. TV: TyC Sports (to Argentina and part of América) y Teledoce (to Uruguay).